Book Condition: Very clean book. Pages are clean and free of markings. Very minor to no shelf wear. Comment: Very clean book. Pages are clean and free of markings. Very minor to no shelf wear. Sold by Mostly Tomatos, Inc. and Fulfilled by Amazon. Double Your Web Traffic - Overnight! Whether you&apos;re brand new at AdWords or 7-year veteran, The Ultimate Guide toGoogle AdWords will decisively advance your game in 2 hours or less. Google gets searched more than 1 billion times every day--creating an unbelievable opportunity to get your business in front of thousands every minute...IF you know what you&apos;re doing. Google AdWords experts Perry Marshall and Bryan Todd uncover the fundamentals, techniques, tools, and tricks that Google should teach you, butdoesn&apos;t.
Discover how to build an aggressive , streamlinedcampaign proven to increase your search engine visibility, consistentlycapture clicks and increase sales. No other guide is as readable, or relevant in it&apos;s coverage of today&apos;s fastest, most powerful advertising medium. Unstoppable Forces Will Either Propel You to Victory or Bury You on Page 2-3-4 of Google&apos;s Search Results. Things aren&apos;t getting any easier out there. Which is why we&apos;re introducing anew weapon for winning the war on the right side of the page: TheUltimate Guide to Google AdWords. Record numbers of people arecoming to the web to do business. As the offline economy stumbles andfalters, as politicians promise helpless, ineffective solutions, theInternet continues to heat up. Staying at the front of the Google AdWords wavefront is critical to thecontinued success of your business. If your rival gains the upper hand,the long-term consequences may be grave. When you prevail, thebenefits of dominating a market continue to earn compound interest.Market Dominators still control their own destiny and still make themajority of the profits. Even in the present crunch, it is still possible to prosper. If you are going to prosper this year.... Prepare for battle. If getting visitors to your site via Google AdWords is oxygen for yourbusiness (even if you&apos;re doing comfortably well), don&apos;t you even thinkabout resting on your laurels, because somebody is hungry to take what&apos;s yours. When you&apos;re #1 in your market, you get the best customers, the bestopportunities, and the best defense against competition. "The WinnerTakes All." Sold by Mostly Tomatos, Inc. and ships from Amazon Fulfillment. Ships from and sold by booksXpress. Google AdWords is far and away the most powerful, most flexible advertising machine in the history of man. But it's competitive. 3% of the advertisers get 50% of the traffic. Being in the top 2-5% of advertisers who get 30% to 60% of the traffic is not rocket science. It simply requires that you slice your campaigns in more dimensions than most advertisers. There's a LOT of pond scum out there. People who are blind, naked, ignorant and clueless. Outperforming the bottom 90% of advertisers is not as hard as it sounds. In fact it's reduced to having a state-of-the art checklist and a few advanced techniques in your bag of tricks. A well-built Google account is harder to knock off than ever before. Yes, there are all kinds of robotic search-and-destroy programs for affiliate marketers that replicate Google campaigns. But there are dozens of campaign fine-tunings that these robots cannot discern, and the Ultimate Guide reveals these adjustments to you. Perry Marshall is the world's best selling expert on Google advertising and has consulted in over 300 industries, from computer hardware and software to high-end consulting, from health & fitness to corporate finance. He's shared the stage with Zig Ziglar, Brian Tracy, Jay Abraham, Mari Smith, Harvey Mackay, T.D. Jakes and Les Brown. This is literally the best $15 I spent in 2016. I had recently hired an Adwords consultant for $500 a month to run the Adwords for my small bookkeeping business. To my horror, one month into the process I discovered that one of the ads they had written used the word "booking" instead of "bookkeeping". This is an ad I had spent hundreds of dollars on. Needless to say, my confidence was dashed. So I started trying to educate myself on Adwords. I took courses on Lynda, read blogs, took classes on Udemy, you name it. Nothing gave me the kind of practical, comprehensive, step-by-step breakdown of the platform that I needed to confidently manage the platform on my own. Until now. Once I started reading this book, I could not put it down. I finished the book in two days, and it is HEAVILY annotated. I immediately found mistakes that my previous consultant had made in my Adwords account. Today I ran my first ads on my own, with no outside input. I feel confident about them. Don't waste time with other books and outside Adwords consultant. Buy this one, manage your account on your own. I'll update this review once my campaigns have been running a few months to see if this confidence remains down the road. There is a lot of fluff. Almost completely blank pages. Stories about nephews. Pep talks. 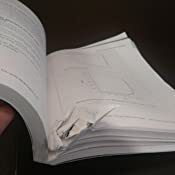 I would have preferred a slimmer, more to-the-point book that didn't insult my intelligence by masquerading as more than it actually is, which is a somewhat bloated "get rich, you can do it!" book by an author who never drops his sales act. There are mixed feelings about Perry Marshall and some of his stuff. 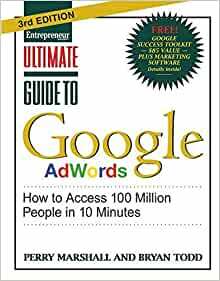 I bought this book as a total beginner, followed every step laid out, and now am running a successful campaign for Adwords. I'm already getting a 15% CTR. Even the Google people were impressed with how I set it up, and couldn't believe it was my first campaign. I've only been running my ads for a couple of weeks, and I'm A/B testing as Perry lays out, so I will be excited to see how my funnel converts. If you want to attract traffic and clicks to your website via Google searches, this is THE bible to have in your toolbox! Don't pass up the free bonuses that come with this gem!! 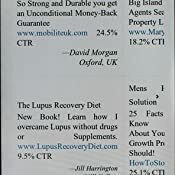 There is more information in this book that goes beyond just Google Ads. Knowledge of making your entire business a long-term success is inside! This book has provided me with a wealth of knowledge on the subject of Adwords, I have struggled with Adwords in the past and wasted thousands of dollars on unprofitable campaigns but after reading this book I think my future Adwords campaigns will be much more effective and better optimized, the book also touches on other topics including writing effective sales copy, email marketing, and more, 5 stars. This and Perry’s 80/20 Sales & Marketing are core books for any entrepreneurs marketing library. 5.0 out of 5 stars"THE" Bible for Learning Adwords!! If you want to save $1,500 a month and do your own online marketing... This is a must-read! At the very beginning of the Kindle edition, Perry Marshall tells you that the first thing you have to do is get your online bonus material. But when you go to get the material, you get a video of Marshall selling you another book, which he assures you that you absolutely need. I didn't want the book. But if you don't click that you'll buy the book, you can't move on and get the supplemental online bonus material. Basically, you're mislead into thinking that you're going to get bonus material, but instead you get a hard sell to buy another book. What makes it even more irritating is that "the first thing you have to do" instructions are in bold so you're sure not to miss them. Being forced to listen to a video of him selling a book I didn't want and being unable to get the online bonus material that he said was vital to the book I purchased (vital in italics) is the worst experience I've ever had in buying a book. Even hucksters know better.